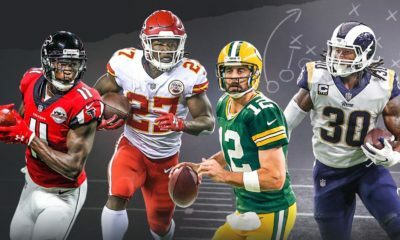 With the NBA season officially in the books, a question I see commonly asked is, when should you start looking at the 2018 Fantasy football season? It’s a great question and its answer has many different forms for many different types of fantasy players. My rule of thumb is during the off-season, keep your eye on some of the most important things like trades, free agency, and the NFL Draft. From the Draft on is when you should dive head first into the fantasy world and begin your research for your upcoming drafts. Value is a factor that can make or break you come draft season. Your goal is to find player that outperforms their draft position and avoid the players who will underperform their draft position. Today we will take an early look at some players’ ADP (Average Draft Position) that I believe are going too high. Man oh man has the DeShaun Watson hype train got up to full speed. Our very own Zach Brunner has Watson as his second ranked quarterback for the upcoming season. I don’t deny that Watson had a great rookie season, in which he threw for 1,700 yards with 19 touchdowns, 8 interceptions and averaged 24 fantasy points in 7 games. Where I start to question the high ranking is with Watson coming off a torn ACL. Much of the fantasy community is expecting a bounce-back into fantasy stardum. Deshaun Watson tore his ACL in practice after a week 8 loss to the Seahawks. Although he is expected to be ready for training camp, he has yet to participate in 11-on-11 drills, according to Rotoworld. I have to doubt Watson’s 2017 hot streak in which he was finished as the best quarterback through weeks 3-to-8. Watson is going as the last pick in the fourth round of 12-team leagues. I have always personally used the strategy of late round QB, where I pay up for my other positions and grab a QB in rounds 9-11 to ensure I get the more scarce players at RB or WR. I don’t know if we can trust Watson enough with his limited sample size as our second quarterback off the board. Also, lets not forget about the other guys who have done it for multiple years. Tom Brady’s fantasy finishes among the QB position in the last three seasons: 2nd, 15th, only played 12 game but if you take average points per game and average it over 16 games he would have finished 3rd, and Brady finished 3rd this past season. 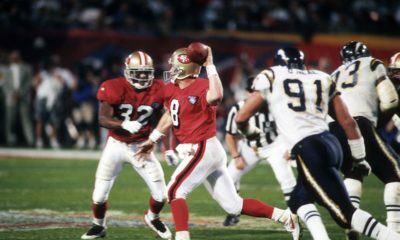 Drew Brees is going at pick 6.01 and the last time he finished outside the top-10 in total points for standard scoring leagues was 2003! Yes, 15 years ago. I feel more comfortable using a high pick on one of the more proven guys rather than and sophomore who only played in 7 games. If I were to tell you a player who hasn’t had more than 400 yards receiving in a season since 2013 was going on average as the 12th receiver in fantasy football, would you be trusting him as your WR1? Everyone knows Josh Gordon’s story. He blew up in 2013 with 1,600 receiving yards, 87 catches and 9 touchdowns only to be in and out of the league due to multiple violations of the NFL’s Substance Abuse Policy. Since 2013, Gordon has played in only 10 games, totaling 42 catches, 636 yards and 1 touchdown. Comparing Josh Gordon to the players that are being drafted around him, I don’t see an argument for Gordon being at 12. Doug Baldwin finished 10th in 2016 and 13th this past season. Mike Evans’ finishes have been up and down, but has finished as the number 1 receiver in fantasy while having another top-10 finish. Tyreek Hill has been a top-20 receiver these past two seasons and finished fourth last season. The situation in Cleveland has gotten a lot better than Gordon has played with in the past. Tyrod Taylor looks to start the season as the starter with top overall draft pick Baker Mayfield eagerly waiting for his chance. You also have Jarvis Landry coming in and immediately bringing some credibility to Cleveland’s receiver group. Corey Coleman has been a receiver who has shown flashes, but injuries have held him back. Sophomore David Njoku had a few good games last year with very subpar quarterback play. 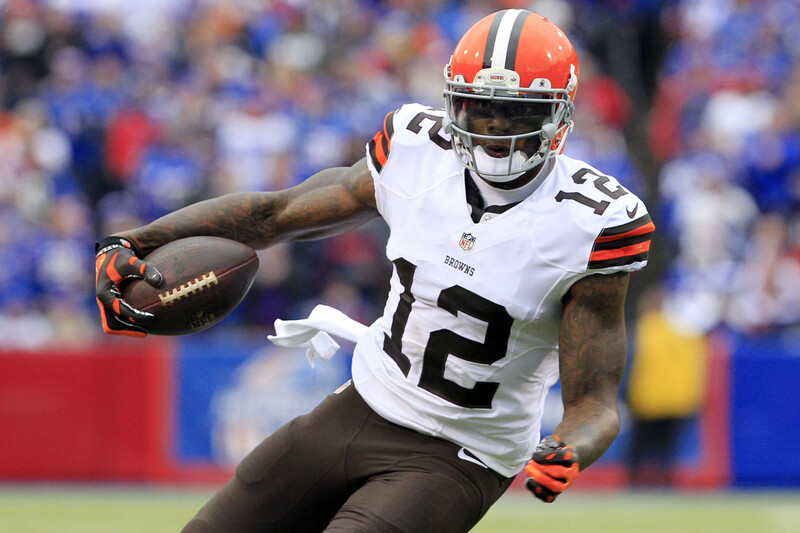 There are a lot of mouths to feed, and none of us know if Josh Gordon is going to be the first player the Browns will look at for targets and production. Jarvis landry has been over 100 catches and 1,000 yards twice in his four-year career. 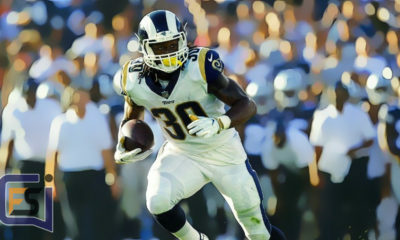 Gordon isn’t a sure fire bet, and I have much more confidence in the players around him rather than spending my third round pick on a player has had issues just staying in the NFL. When will we stop hoping and wishing that the Seahawks are a good running team. It worked for Marshawn lynch…in 2015, but we are a few years removed from one of the best rushing attacks in the NFL. The Seahawks running game ranked 23rd in the NFL in 2017. Outside of leading rusher Russell Wilson, the next best runner for Seattle was Mike Davis with 240 yards. Rashaad Penny’s 2017 college season led him to the number five spot on the all-time single season rushing yardage list. 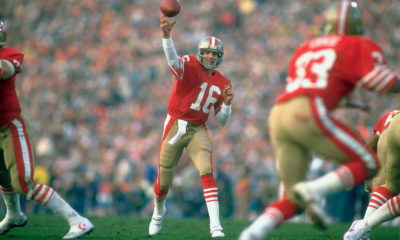 Penny was drafted in this past NFL Fraft at pick 27 overall. My concern with Penny at his current draft price is if the job will be his and his alone. Last season, five Seattle running backs had over 40 rushes, but none had more than 68. Just because Penny has the chance to be the featured back, it doesn’t mean he’s in a situation to succeed. I would bet against Penny being the next coming of Alvin Kamara. Do not, I repeat, do NOT be the guy who take a defense in the eighth round or earlier in your upcoming fantasy draft. Your uncle will take the Jags D and tell you what a steal he just got. While Uncle Bill’s doing that, you could be getting the late round player that will change your season (Last year’s ADP: Marvin Jones 9.08, Adam Thielen pick 10.09, Duke Johnson 10.06). Let’s also mention that NFL defenses can change season by season. Remember when the Saints defense finished as one of the worst in NFL history in 2016, then in 2017 the Saints D gave up the tenth-fewest points. Wait until the last round and draft your defense. Pingback: How Will Last Year's Top-5 Quarterbacks Perform in 2018?